Actress Molly Sims believes comfort and style don't have to be mutually exclusive. 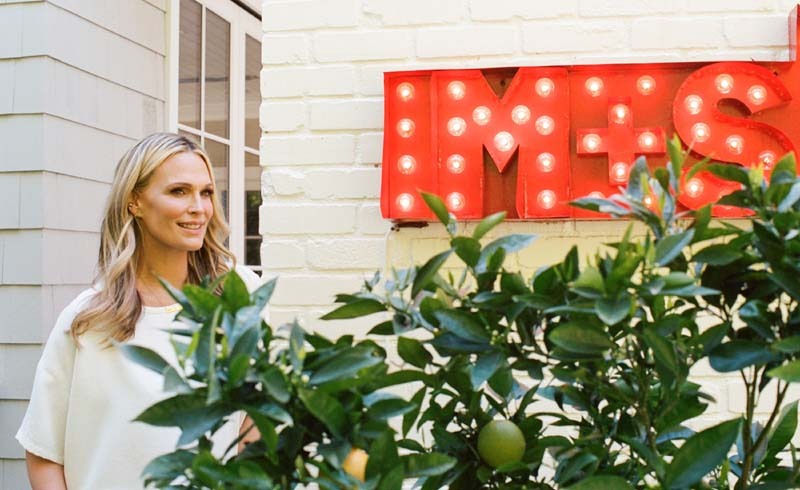 "Home is the heartbeat of our family," says Molly Sims, actress and author of the new book Everyday Chic. She takes us into her stylish, comfy space, where she, her husband and their three kids make lasting memories. 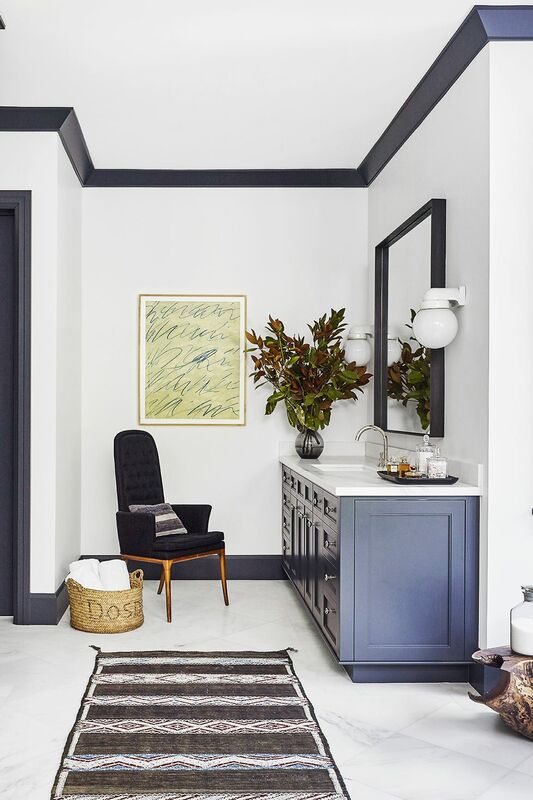 Molly Sims, actress and author of the new home decor book Everyday Chic, and her husband, Scott Stuber call West Los Angeles home. After having their three children: Brooks Alan, 5; Scarlett May, 2; and Grey Douglas, 9 months, they learned firsthand that you shouldn't have to sacrifice style for safety and comfort. So they called in the experts. 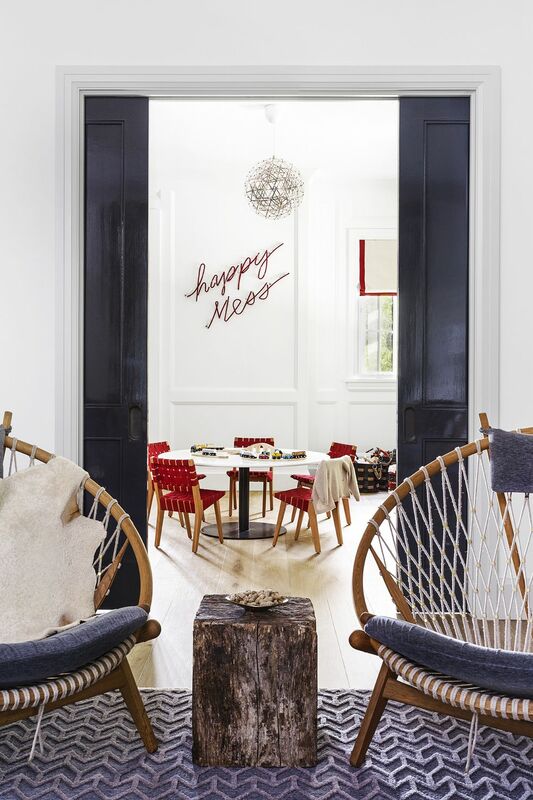 Dan Scotti, a New York-based architect and interior designer and Tiffany Harris, an interior designer and home stylist, gave their open-floor-plan home a modern and clean update, while keeping the family's needs in mind. Put plants on a pedestal. In place of a side table, accent an entryway with low-maintenance greenery like succulents in a pretty pot or raised planter. Cover a wall with dark subway tiles. "My kitchen is the home tub, so we really wanted the design to come alive," says Molly. For a modern twist on a traditional backsplash, choose slim navy tile that makes white counters, floating shelves and everyday serveware stand out. Set up the kids "living room" next to the adults' space. Sliding doors are great space-savers and double as room dividers. "My husband and I leave the doors open when we want to relax but still keep an eye and ear on our little ones," says Molly. Build storage that children can easily use. Storage can be out in the open — if it's done the right way. "I chose bench seating with drawers that my kids can maneuver. It's an easy way to hide the mess when someone comes over!" says Molly. Turn a basket into a lampshade. 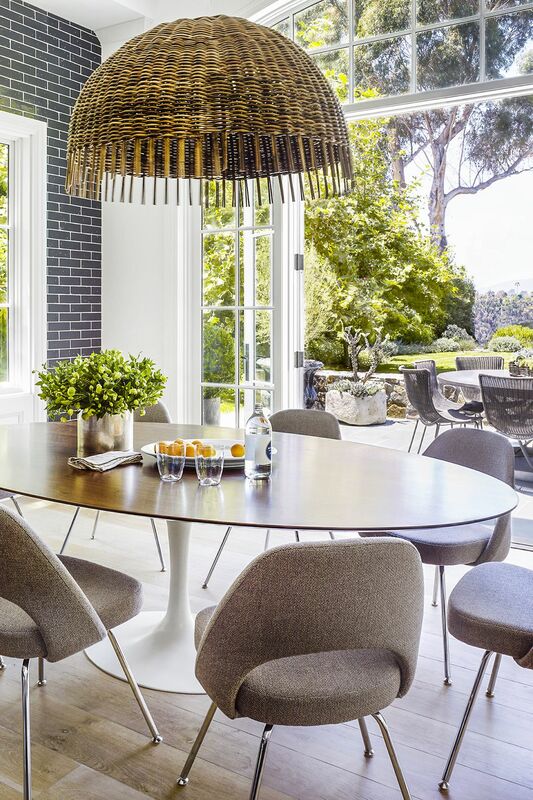 Woven chandeliers are having a moment. Buy one or DIY by cutting a hole in the bottom of a basket and threading on a light kit (available at a hardware store). Wrap your books in paper. Streamline shelves by ripping off the jackets of old books (garage sales are full of them) to expose the stitching or covering your collection with coordinating papers. OUTDOOR FABRIC TIP: "It's durable and easy to clean, so it's also perfect indoors if you have kids and pets," says Molly. GH TIP: Follow care instructions; if none, spot-clean with dish detergent and warm water, then rise with a damp cloth. 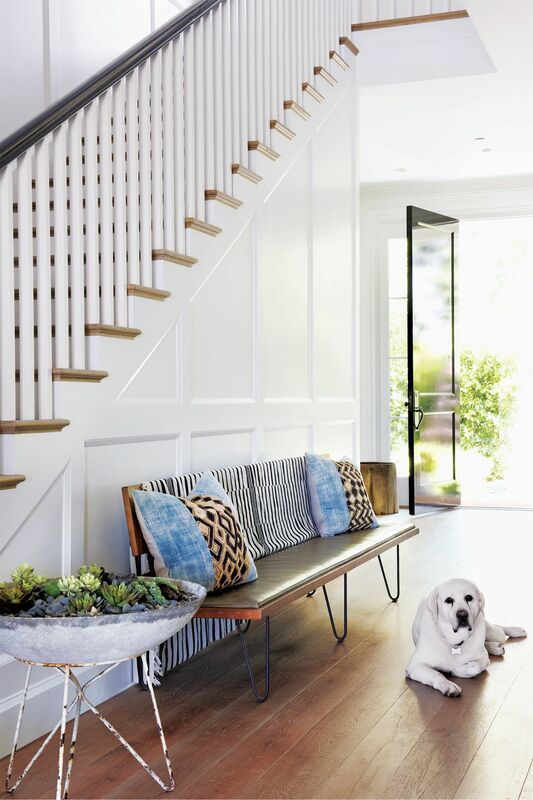 Use a contrasting color on woodwork to draw the eye up and down, helping the room appear bigger. Then find little ways to infuse color into the space. "Small things like a pom-pom blanket and a tray with flowers add color and life to a home," says Molly. 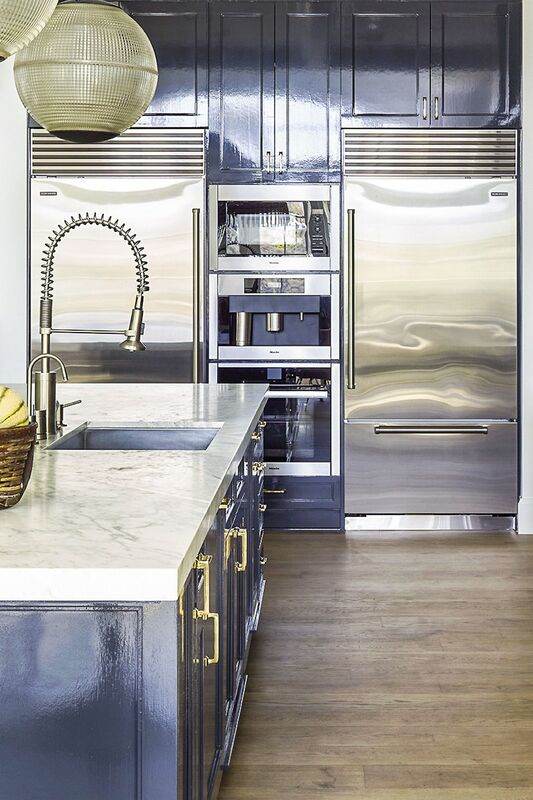 Pair brass hardware with stainless steel appliances. Even opposite metals can be friends — and better yet, they bring out the best in each other. 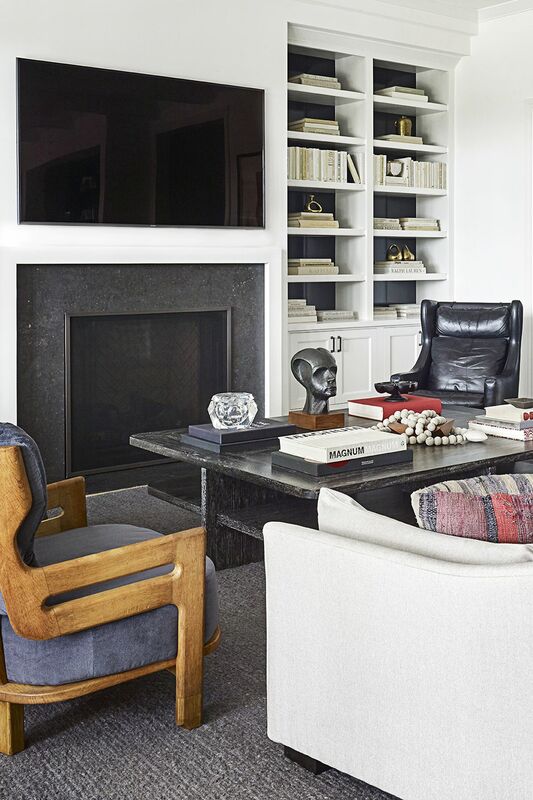 "I know it seems weird, but mixing metals is an easy way to make a space feel modern and cool," says Molly.